inscription: Printed in black at the bottom right: "publie par le conseil mondial de la paix!" Poster printed on white paper with a multicolor stylized image at the center showing a US ship loaded with bombs/missiles in the ocean approching Europe. 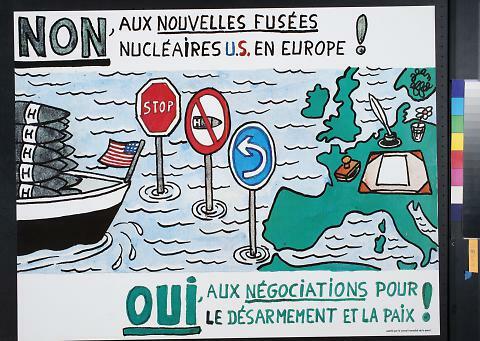 In between the ship and the continent are three signs - "Stop" a bomb/missile with a slash through it, and an arrow signaling a U-turn. On the European continent is a writting station. 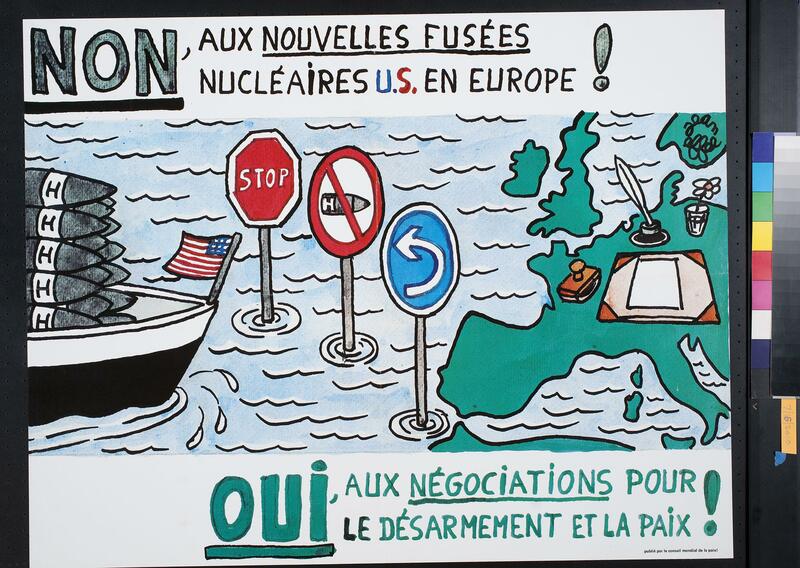 Att the top of the poster is "Non, Aux Nouvelles Fusees / Nuclearires U.S., En Europe!" At the bottom is "Oui, Aux Negociations Pour / Le Desarmament Et La Paix!"